My name is Wooyoung Jang, a 5th grade medical student in Korea University College of Medicine. As a 5th grader, I was in the polyclinic training course. 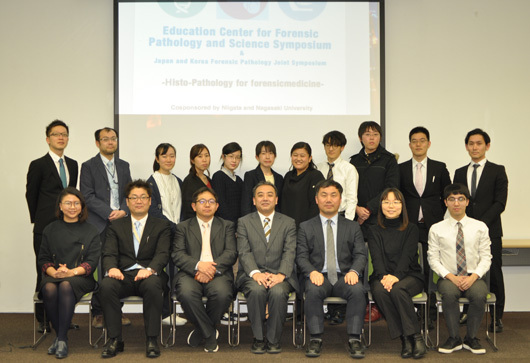 But since there is no mandatory forensic medicine in this course, I always wanted to participate in any kind of forensic activities. Under this circumstance, invited to the symposium, I started studying for my presentation and then I had such great experiences and impressions. Attending in this symposium motivated me in many ways. 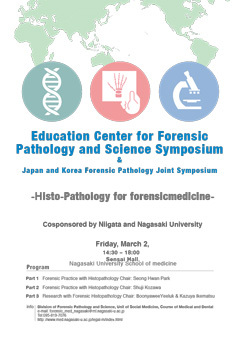 Watching presentations, I got to know various fields of forensic medicine such as histopathology, molecular pathology and their methodologies in the context of forensic medicine. One of the cases introduced was very interesting for its uniqueness. (presentation 1: peliosis hepatis). and some experiments’ methods and tools were interesting such as those in presentation 6 and 7 (wound age estimation and drowning). After this enlightening experience, I came to think about career other than medical examiner, such as researcher in subspecialty of forensic medicine. Preparing my presentation, though it was a simple introduction of cases which I studied with, I learned pathologic knowledges more thoroughly than in my theoretic pathology course, which was in 3rd grade. Moreover, since I looked into social, medical past histories of the deceased, their diseases, macroscopic findings and histopathologic features sequentially, not only pathology but also outline of forensic medicine could be learned. This had been a great opportunity to learn in the actual context beyond the textbook. 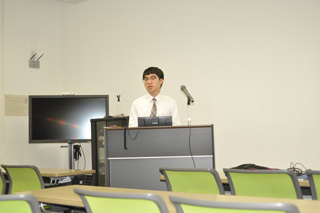 After this symposium, I also had great time to talk with medical students from Nagasaki University. Learning about Japan’s medical education programs and comparing with that of Korea’s was helpful to check my status (what I lacked and what I exceeded) and get inspirations. Also exchanging each others’ opinions on future career was valuable. 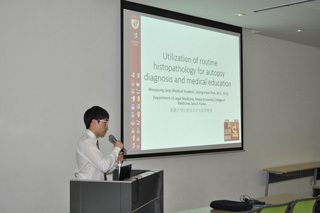 I’d like to thank Professor Kazuya Ikematsu for inviting me in this symposium which had been a great experience.